The telescopic rocket baton is 205 - 555 mm riot police steel telescopic rocket baton riot control equipment which is essentially a stick of less than arms-length. The telescopic rocket baton is manufactured using quality raw material that ensures its durability. The telescopic rocket baton is widely used for various law enforcement applications. 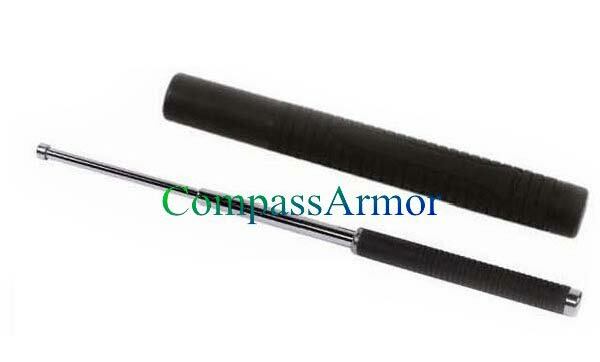 We are also offering generic expandable batons and old straight batons.